Henry Wynn, Jr - Guitar; Henry Wynn III - Violin; Deveran Roof - Bass; Doug Johnson - Vocals and Guitar; Cheryl Wynn - Vocals and Guitar; Jimmy Seldin, Resophonic guitar; Jared Chaney, Guitar; Frank Vaughan - Harmonica. NEW!! 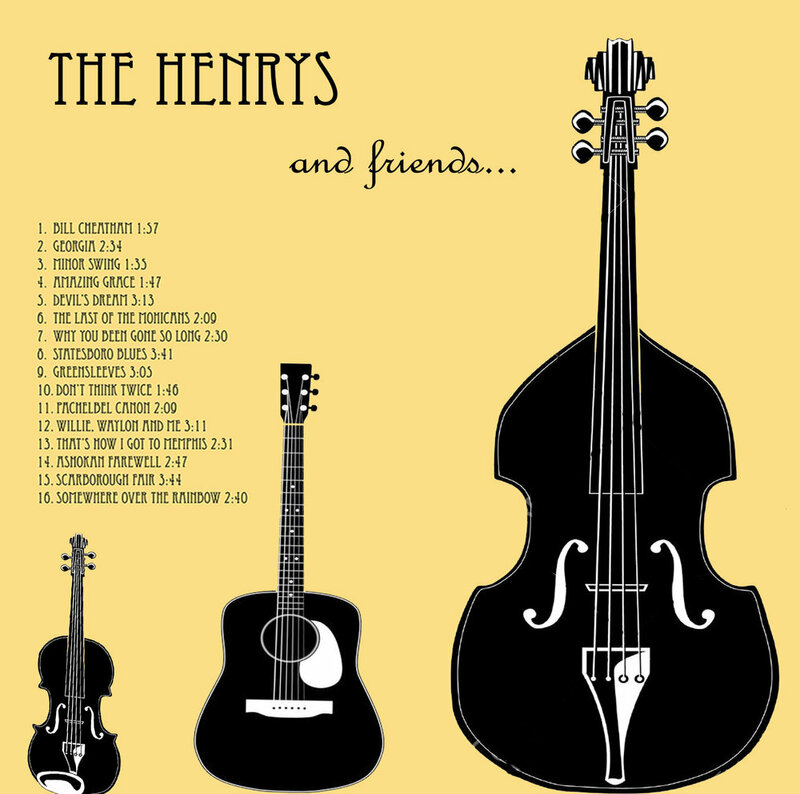 The Henrys and Friends - Featuring 16 Tunes NEW!! Orders can be made through the paypal link below. $15 includes free shipping. Orders can also be placed by sending an email to HenryWynn@comcast.net or contacting Cheryl Wynn @ 706-284-3146. $15 with free shipping, Call Cheryl Wynn at 706-284-3146 or email HenryWynn@comcast.net for more information. Paypal link for purchase below. $15 with free shipping, Purchase CD to hear complete collection of songs. The Henrys play on the waterway of the Augusta Canal while visitors enjoy the Moonlight Music Cruise Petersburg Boat Tour. Call the Augusta Canal Discovery Center for more info. $15 with free shipping, Please purchase to hear full collection of songs. Call Cheryl Wynn at 706-284-3146 or email HenryWynn@comcas.net for more information. Paypal link for purchase below.